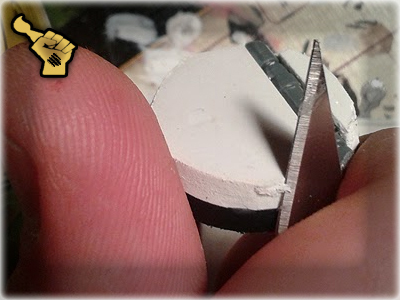 Instead of SF bitz you can use literally anything including toothpick, brass mesh, pieces of computer, irregular pieces of plastic etc. 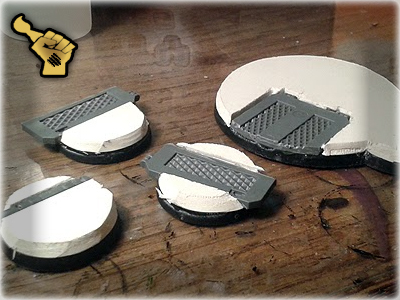 1 Attach some bitz onto the bases using Super glue. 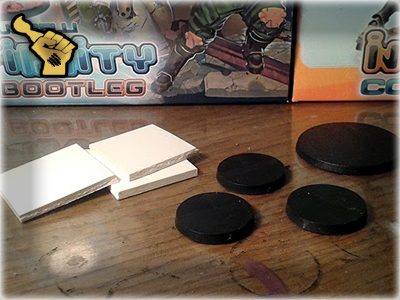 You don't have to fit these bitz ideally, just place them so that they create a nice composition with the rest of the base. 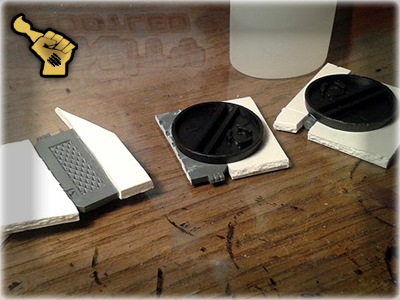 2 Now glue some small pieces of plasticard around the bitz. 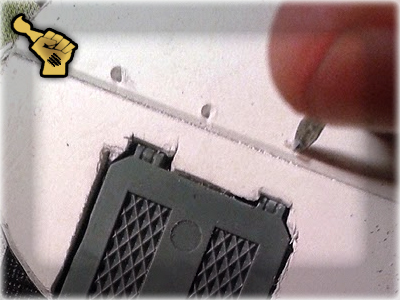 Try not to use too much glue as it may spill onto the edge of the base. 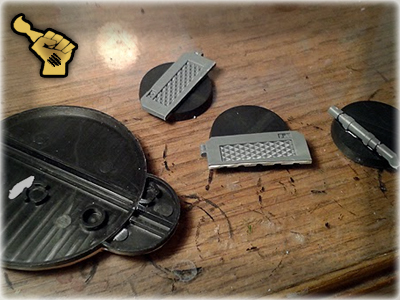 If need be you may want to prepare plastticard pieces to ideally fit around bitz you've used. 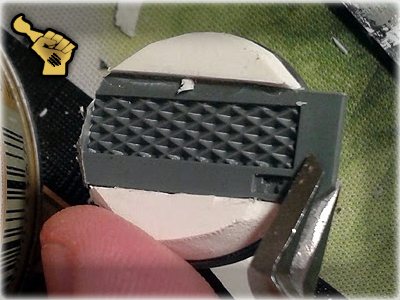 3 Use sharp modelling knife to delicatelly cut off all the excessive plasticard. 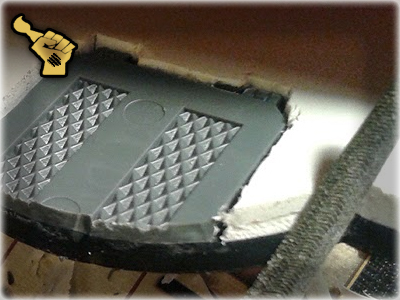 Use the edge of the base to guide the knife's cutting edge. 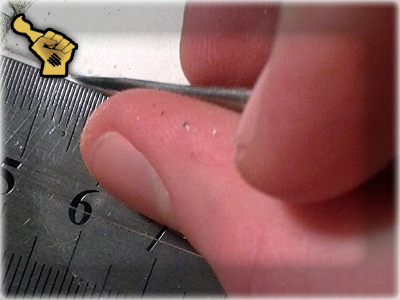 5 It is a good idea to further smooth the edges using knife so they will be easier to file later on. 6 Now it is time to get rid of protruding bitz. The quickest way to do it is to use plastic cutters. 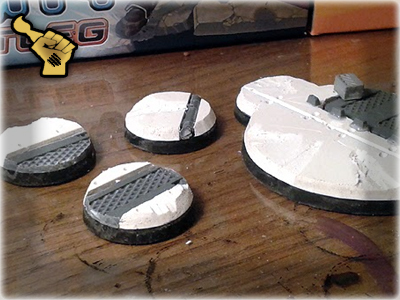 7 Next step is to file the edges of both plastic bitz and plasticard. 8 The work is almost at an end. 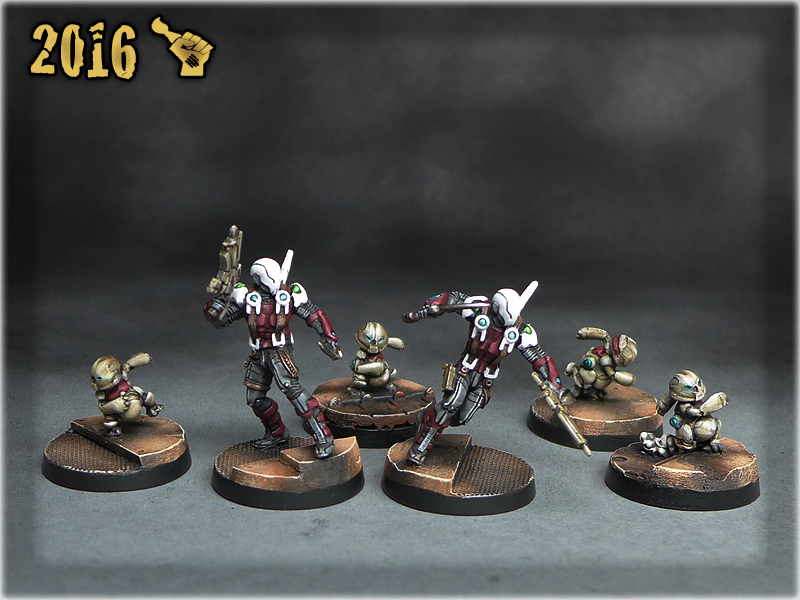 The bases will look much better with some facture added to them. 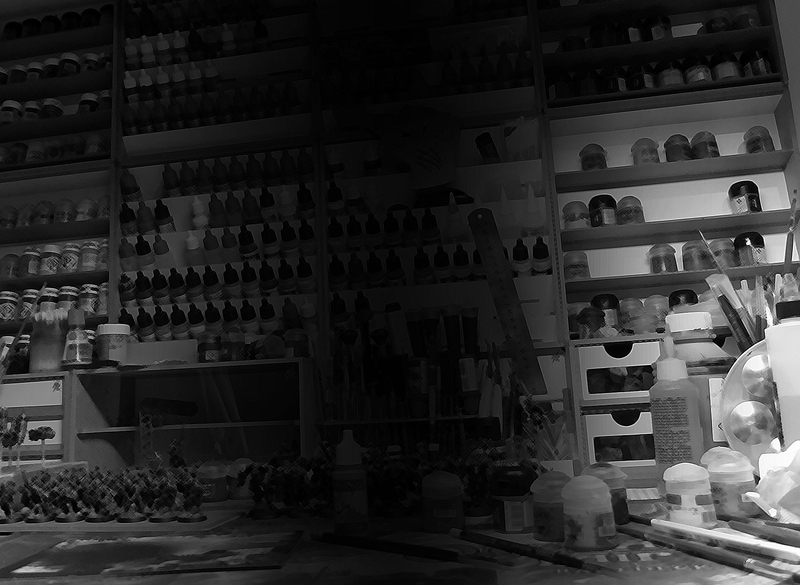 Use a sculpting tool or other similar object to carve some futuristic straight lines and bolt holes. 9 You can easily add some battle damage. 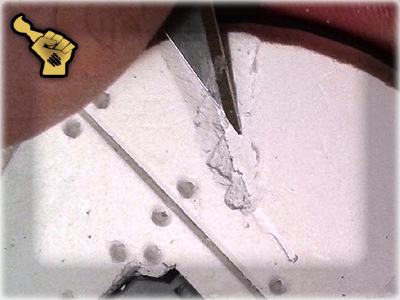 Just embed the modelling knife in the edge of the base and then pull it up to rend some plasticard chunks out of it. 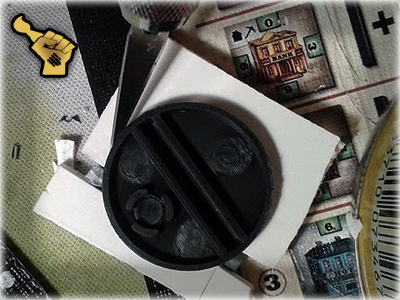 That is all – you’ve just made a SF, battle damaged base for yourself.